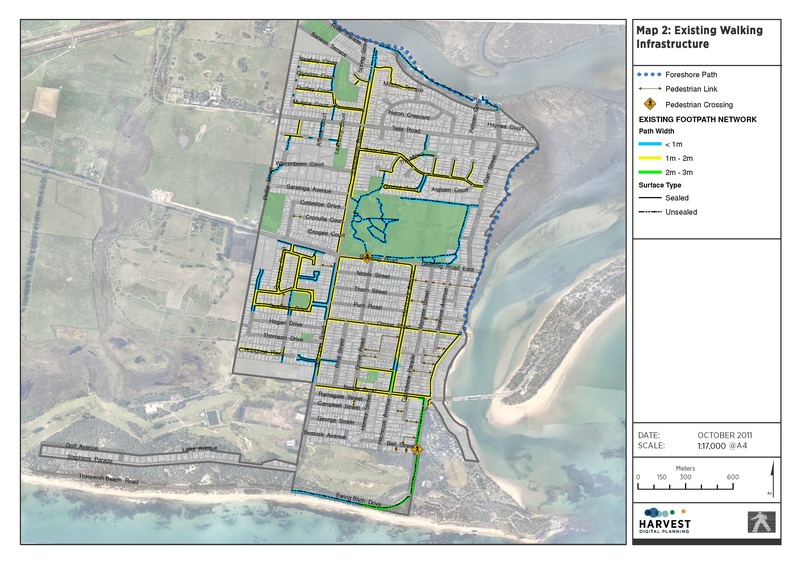 The aim of this project was to identify strategic improvements to the walking network that would enhance the walkability of the town of Barwon Heads. 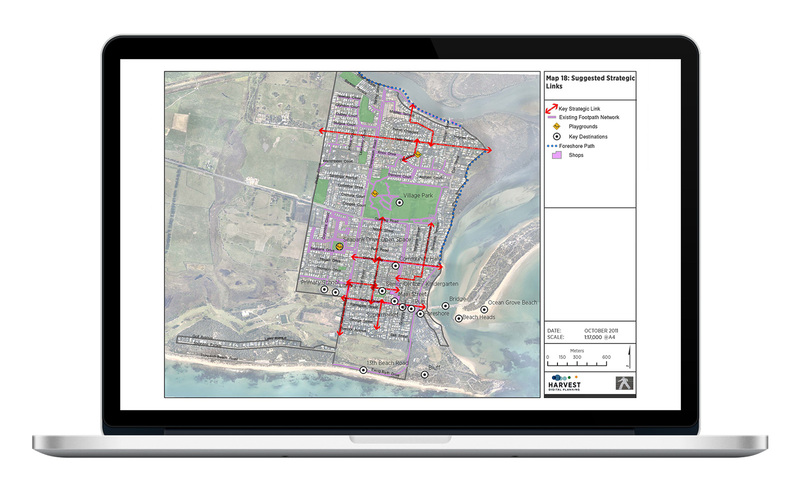 Harvest worked in collaboration Equity Access Justice to map the existing walking context including documenting key destinations and the coverage of the footpath network. 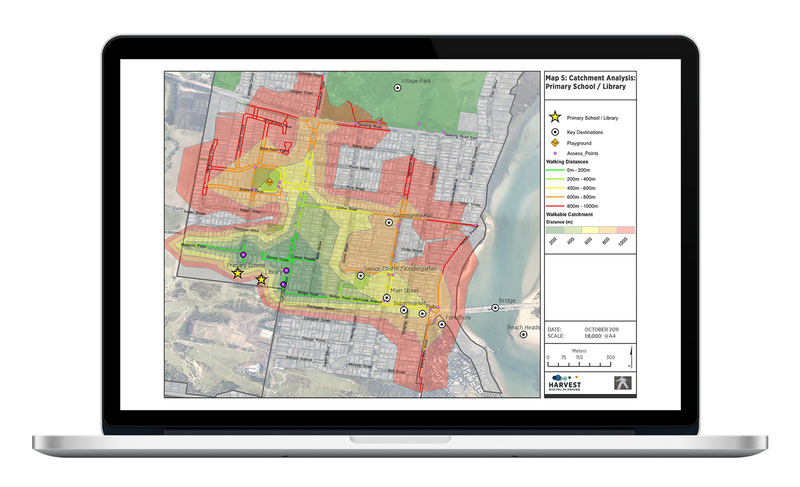 Walkable catchments were calculated along the footpath network using GIS to determine how far people were likely to walk to key destinations. Combined with other qualitative research, recommendations were made on the key strategic improvements to the network that could be put in place to give Council the biggest “bang for their buck” in terms of investment.